The awareness and utilization of these important Action Items for Business Rules in Microsoft Dynamics 365/CRM will help you to become a better admin and encourage your users to keep adopting the system, furthering their education. Business Rules, which can be applied to main forms, all forms, or the entity itself, in your Dynamics environment, has a clean interface that makes it easy to implement and maintain quick and commonly-used rules. You can use Business Rules in Dynamics 365 for Customer Engagement apps, web apps, tablets, and Outlook online or offline. You can do a lot with Business Rules in Microsoft Dynamics 365/CRM, whether you want to set field values, validate data and show error messages, or have other goals in mind. This allows you to show a recommendation message that performs one or multiple actions. With a recommendation, a user can choose to apply the recommendation or dismiss it. The user still has the ability to edit the fields changed by the recommendation even after it is applied. This action item allows you to mark a field as “read-only” or “allow the field to be editable”. This action item lets you display an error message, and set the field as to where the red “X” message will appear. This message will also appear at the bottom of your save button if you try to save. The user will be unable to save until the condition(s) showing the error message are no longer met. This action item simply allows you to set the value of a particular field within your system. If no value is inputted in for that field, you are setting the value. Make the field either “required” or “not required” – simple! Simply select to either show the field or hide it – another simple action item! + 6 Business Rule Gotchas! 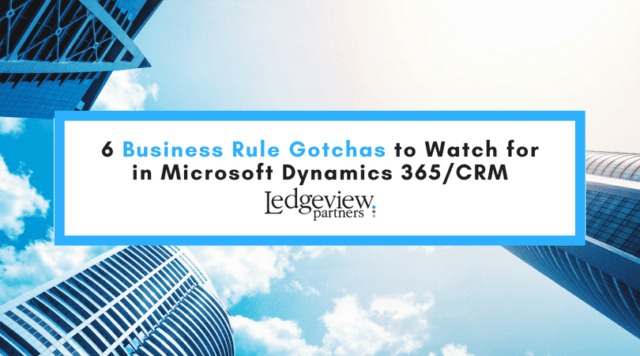 With any Microsoft Dynamics 365/CRM feature or functionality, there are destined to be Gotchas to watch out for, and Business Rules are not exempt. Become aware of some common Gotchas to watch for as you’re working in Dynamics to avoid gaps inefficiencies, utilization, and adoption. Get the quick tips here. 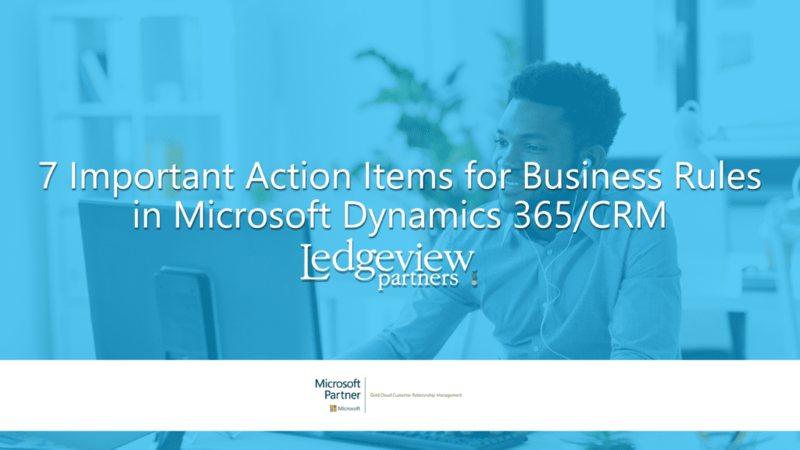 If you still need help with this process or any other function in your Microsoft Dynamics 365/CRM system, reach out to Ledgeview for help. Our CRM Support Consultant team is ready to help. 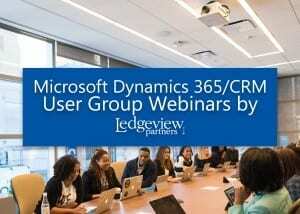 Learn more when you attend any of our upcoming Microsoft Dynamics 365/CRM user group webinars. Register for the next one here.